As the support article explains, the issue has to do with the default behavior of the activation wizard in certain installation media. Depending on where the installation media was obtained from (for example MSDN or TechNet subscription download) the activation wizard by default will look for a Key Management Service (KMS) host on your internal network. It will not try to activate using the internet to reach Microsoft Activation servers. In my case, I downloaded the Windows 8 Pro ISO file from my MSDN subscription. The installation binaries from the MSDN ISO file uses a temporary / default key to install as I was not prompted for an installation key. This installation key is apparently a temporary key that tells the Windows 8 activation wizard to look for a KMS host on the local network only and not try Microsoft’s activation servers online. 1. Open an elevated Command Prompt (CMD) in Windows 8. Elevated means, Command Prompt needs to be run as an administrator. 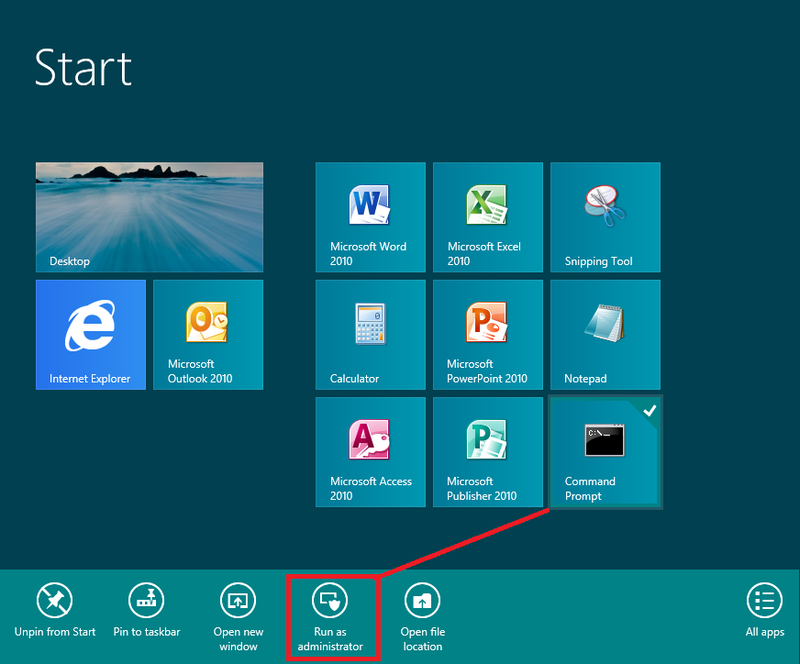 To do this, go to Windows 8 Start (click on the Windows key), locate the Command Prompt shortcut on your tiles (or search for it on your Apps) and righ-click on it. 5. 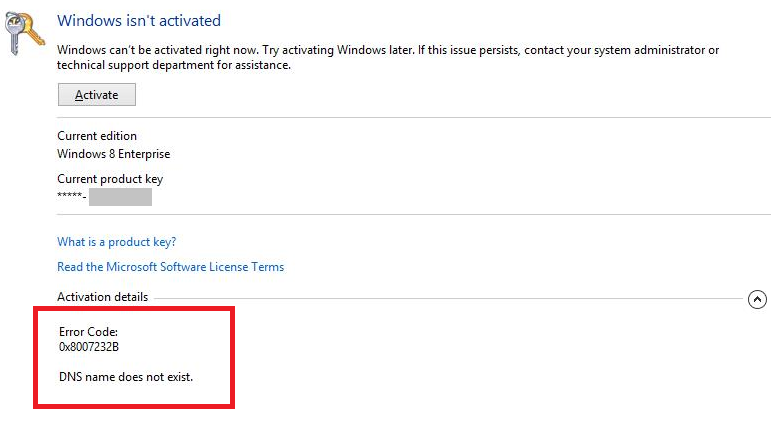 Once you receive this confirmation message you may proceed to activate Windows 8 using Microsoft’s activation servers online. Feeling very overwhelmed right now. Babe you have tried your best to be strong during this time of being unemployed. I commend you for trying it is fine to be upset I was and at certain points of the day I am all over again. You are a very strong woman who has tried to bring strength to her husband. You don’t have to try and put on a face for me at all. I appreciate all you have tried to do. I love you and hopefully we get through this soon. Trying to keep my spirits up by trying to do different activities throughout the day while looking through the job boards. I am currently doing a How-To-Book on SQL it has been pretty informative so far. I am at the location in the book when I being to learn to create tables and adding data to them. Hopefully once done I will have another skill that I can use to be more marketable in the job market. It is hard on my wife with me not working and stresses us both to the max. I wonder if it is ok to be spirited while the other in the relationship is depressed? Being the unemployed shouldn’t I between looking for a job do something to uplift my spirits? Should I constantly be thinking about the fact that I have no job? Feeling overwhelmed with the loss of my job. You and I have been very distant to each other and if I don’t come and touch you physically I don’t think there would ever be any physical ties between us. It is hard to pull the energy together to keep approaching and keep approaching. Yes we are going through things yes your body has changed, yes life is always moving us about but we said to one another with family and everyone watching that we had each others back. I got your back but I have been feeling left out in the cold for a long while. I think you need to step up more and show me you are still here. I am here as I am always going to be; just seems like I am always holding a manikins hand or giving a manikin a hug there is not ever anything there for me. I have waited and waited and waited how much longer do I need to wait? I love you so much and want so much for us and really working hard to see everything through. Family time is great, kids events great but when its just you and I; I always feel tension. You say lets just do it but when you have no enthusiasm about us, you just roll over to your back how am I suppose to see that?